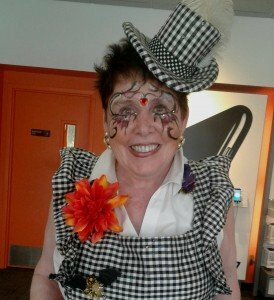 Miss Harriet has over 15 years of face painting experience in Orlando. She has appeared at various Orlando area recreational parks performing at large and small events. Corporations have welcomed her facepainting at their facilities as well as local restaurants, bookstores, home improvement companies, weddings, bar mitzvahs and neighborhood block parties. Miss Harriet regularly attends facepainting conventions and seminars to bring the latest and best techniques and designs to her clients young and young at heart.